I let my dog Chase out of the car and then realized there was this Snowy Egret less than 50 feet away. This is likely one of the two Snowy Egrets I had spotted flying earlier in the area. 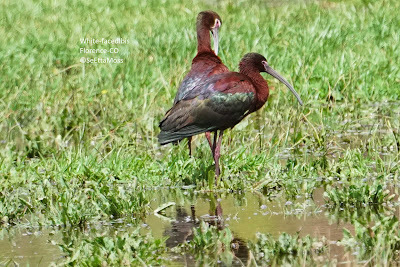 As my area of Colorado is semi arid we have few water bodies or wetlands so we don't see many egrets. 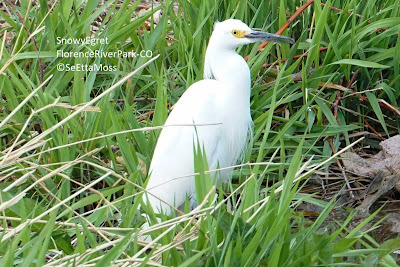 Though Snowy Egrets nest in a few isolated areas in 2 adjacent counties they have not been found nesting in Fremont County.